Cashews, pimentos, and nutritional yeast turn ordinary hummus into a delicious vegan pimento cheese. Now, I don’t know if that was a good thing to her or not; we’d never had pimento cheese in the house when I was growing up, so I assume it wasn’t one of her favorites. But I kept that comparison tucked away in the back pocket of my mind with the goal of someday working on a vegan pimento cheese recipe. 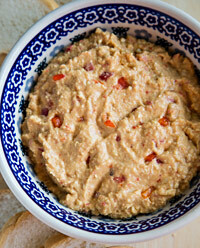 It took randomly spotting a pimento cheese photo on Pinterest to remind me to do some experimenting. 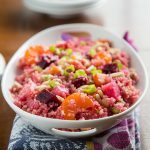 It’s the kind of old-fashioned Southern dish that always seems to show up at potlucks and picnics. I developed a fondness for it in college, where a deli container of the lumpy, orange spread and a loaf of bread were all I needed to get me through the penniless days before my work-study check came in. Pimento cheese has the amazing ability to be two textures at the same time. The mayo or cream cheese base provides smoothness, but the cheese itself is not melted or blended so that its texture remains, well, lumpy. 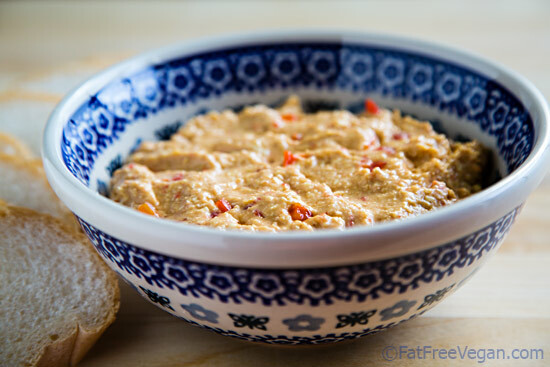 To give my pimento cheese-style hummus a similar texture, I decided to use silken tofu for the smoothness and blend it in two stages–once to puree the tofu and half the chickpeas and cashews and then again in just short pulses of the processor to break the remaining chickpeas and cashews into al dente bits. I added nutritional yeast and plenty of seasonings to give it that cheesy flavor, and then I refrigerated it for a while to allow the flavors to blend. And…success! I liked it, and it was definitely reminiscent of the pimento cheese of my youth. But I was worried a little when daughter E wanted to try it. She’s never tasted pimento cheese and generally doesn’t like it when I tinker with foods she likes, like hummus. She came in at the end of my photo shoot and asked to try it on one of the pieces of French bread I’d had been using in the shot. One piece turned into two, and then she had the idea to make a little Vine video of the disappearing hummus. Somehow that 6-second video took several takes to shoot, and she wound up eating every piece of French bread. So I would say this recipe is an unqualified kid-friendly success. Delicious as a dip or a sandwich filling. For a soy-free option, try using a couple of tablespoons of almond or rice milk instead of the silken tofu. Place the cashews in a small bowl and cover them with water. Allow them to soak at least 2 hours and up to overnight. Drain the cashews. Put half of them into the food processor along with half of the chickpeas, the silken tofu, 4 tablespoons pimentos, and all remaining ingredients. Process until it’s as smooth as you can get it. Then add the remaining cashews and chickpeas and pulse about 10 times until chickpeas and cashews are broken but not completely smooth. Check seasonings and add more red pepper and salt to taste. Transfer into a serving bowl and stir in the remaining 2 tablespoons of pimentos. Refrigerate for at least an hour to allow flavors to blend. A Facebook follower recently asked me what I do with the partial boxes of silken tofu left over from recipes like this. I’ve solved the problem of having leftovers by throwing them into scrambled tofu. 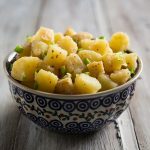 I like the smooth texture silken tofu adds to scrambles, and I find that it can be added to any of my scrambled tofu recipes (I usually increase the seasoning a little). Also, when I have more than a half a box leftover, I often use it to make my Tofu-Cashew Mayo. So don’t let that extra tofu sit around turning pink (which is what it does in my fridge if left too long). 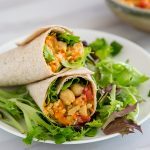 Plan to make some scrambled tofu or mayo with the leftovers! I have made several different types of hummus but this one is my all time favorite. I just love it and so does everyone else. I can’t say enough positive about it! 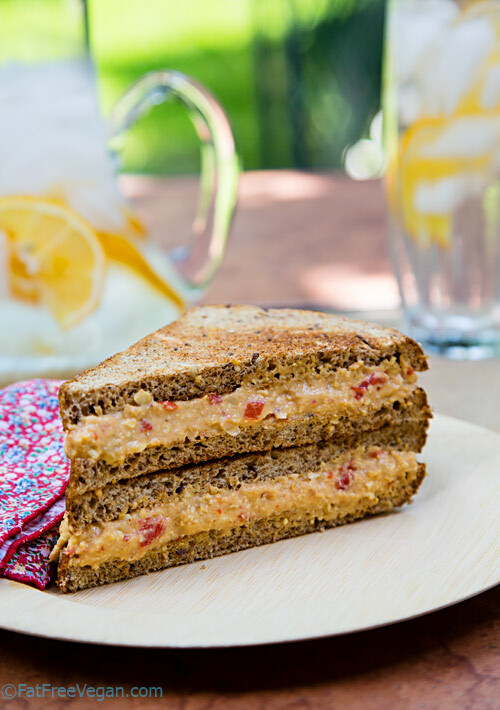 Being raised in Texas, pimento cheese was a school lunchbox staple at our house. I haven’t had pimento cheese in more than 15 years because I’m now allergic to dairy. I just whipped up a batch and it does taste very much like the pimento cheese I remember from my childhood. Thanks! I made this and LOVED it!!!! Thanks so much for this awesomeness!!!!!! What took me so long to make this?! Delicious! Need something to bring to an event? Make this. Your omni friends will thank you. It’s been awhile since I have had pimento cheese, but I dare say this is better. Does not leave that cheesy oily mouth feel! The cashews are raw. Hope you enjoy it! I was wondering if the brown mustard is a necessary component? I’m guessing yes, but the reason I ask is because I have other mustards in the fridge, but not brown. I’ll happily go and buy some if you think a sub would change the pimento cheese flavor. I think other mustards would work just fine. Just add less if you’re using a particularly strong mustard and it should come out great. I just absolutely adore your recipes. Thank you so much!!! This sounds great! I am confused by the extra firm silken tofu. Here in Maine I find those to be two very different products. Extra firm tofu or silken tofu? This and your olive hummus are truly delicious! 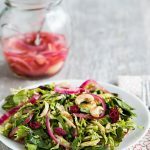 Thank you so much for the fabulous fat free recipes…you have quite a few that i come back to over and over again!